The Derbyan Parakeet is confined to small pocket of moist evergreen forest in the hills of the Indian state of Arunachal Pradesh and the Chinese province on its border. 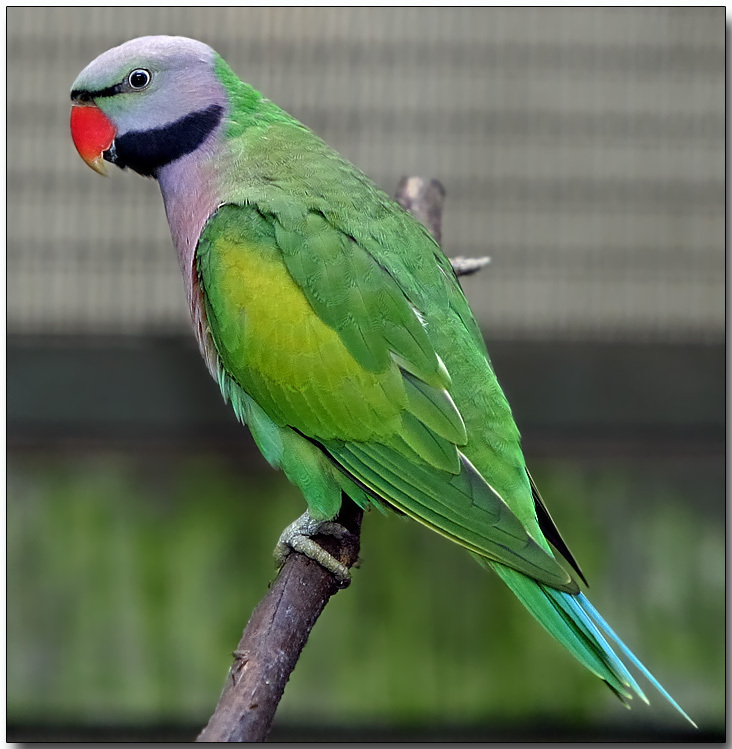 Derbyan parakeets feed on fruits, berries, seeds, and leaf buds, occasionally foraging in gardens and fields. Guest - I believe you're right, AvainWeb & other sites support your ID as a Moustached Parakeet. Thanks! No it's a Derbyan Parakeet- Psittacula derbiana.